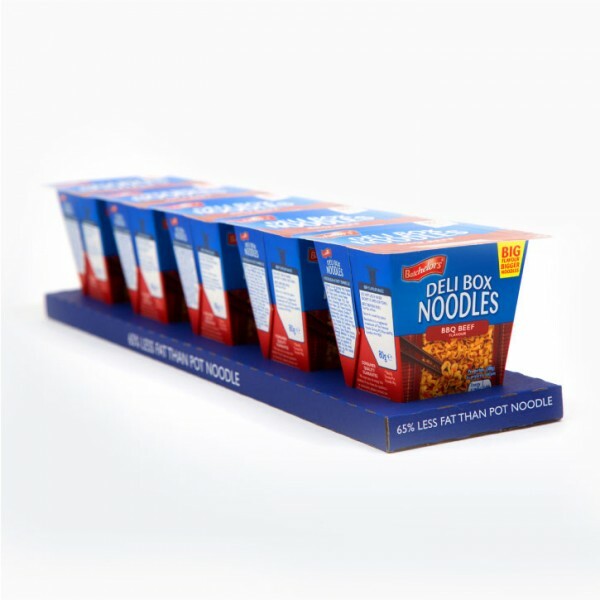 In a category dominated by plastic pots, Batchelors wanted innovation and shelf presence for their new range of pot snacks. Many challenges presented themselves during development. The packaging needed to ensure fitness for purpose combined with the ability to be packed at speed on the production line. The carton had to hold boiling water safely; include a barrier that prevented any contents leaching into the board; be safely sealed to avoid contamination in the supply chain but also open easily for the consumer. This was a new product launch for Batchelors in the dried snack category. It needed to leap out from the shelf at consumers but other equally commercial considerations needed to be taken into account. From concept to shelf The Alexir Partnership conceived, designed and manufactured the packaging, as well as blending, filling and packing the dried food content at its co-packing facility. The whole range is made using virgin fibre board from sustainable forests and is widely recyclable in the UK. It is currently the only square pot that does not require a secondary pack inside the tub. We've been thrilled with the success of the new launch which combines innovative packaging with a strong brand. The Alexir Partnership has been fantastic to work with and we expect the Batchelors Deli Box range to go from strength to strength. 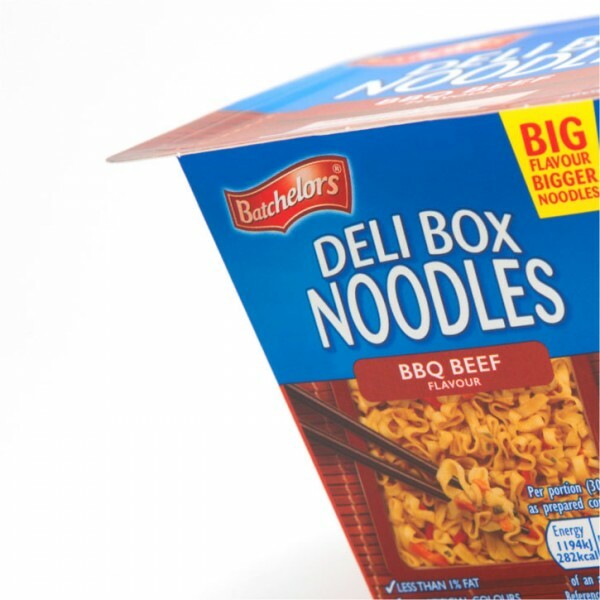 Batchelors have re-branded their entire range and the new Deli Box enabled this branding to be displayed 360 degrees. The pack went on to win several awards and nominations for innovation, including Starpack Award of Excellence, BPIF Excellence Award, Packaging News Cartonboard Pack of the Year 2012.